All Dentists are not equal. What makes an accredited AACD member different from any other dentist? Everyone deserves to have a dazzling smile and a clean, healthy mouth. Located in the heart of beautiful Encinitas, CA, our office specializes in a multitude of cosmetic dentistry procedures that can help give you the perfect teeth you’ve always wanted. Whether you are looking to subtly enhance your smile or are in need of more extensive work, our cosmetic dentists can help you to look and feel more beautiful and confident. 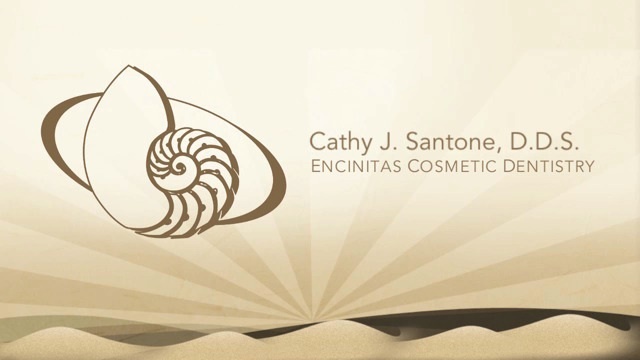 Dr. Santone’s office is one of the best in the Encinitas area. We have been going to her office for over 3 years. The experience has always been professional, friendly and warm. They are a top notch team that I completely trust with our family’s dental needs. With extensive training and experience in the field of cosmetic dentistry, Dr. Cathy Santone focuses on a variety of cosmetic dentistry procedures, to create the smile you’ve always dreamed of. From routine dentistry to more extensive smile makeover procedures, Dr. Santone and our professional team have every solution to make your mouth feel and look magnificent. Our cosmetic dentist, Dr. Cathy Santone, and our caring team are willing to go the extra mile as we strive to make each patient experience with our practice a positive one. We use only state-of-the-art equipment including digital photography, intraoral cameras, high-speed curing lights, and digital radiography to ensure efficient service and optimal results. Our practice is completely computerized to ensure smooth, hassle-free convenience, which also allows us to provide excellent service in an environmentally-conscious green dental office.